Each year the kids give their teachers a few chocolates and a card as a way of saying Thank you and Merry Christmas. This year was easy with the Fancy Favour die cut and the Big Shot. I can’t take all the credit for these as Isobel helped with the decorating and Matt made some of the chocolates. Accessories: Champagne shimmer mist, self adhesive rhinestone, Fancy Favour die and Big Shot, Sleigh Bells ribbon, large and small scallop circle punch, wide oval punch. This is it..the last Christmas card I will make for 2010! Most of my cards have already been sent, but this one is going to my secret sister from Splitcoast. I only received my final package yesterday (with a new stamp set which I will show in the new year) with a name and address to send it to. The layout and colours are CASEd from the latest Scrapbook Creations magazine and are by Nicky Adamson. I just wanted to let you know about a couple of things going on at Stampin' Up! right now. Today is the start of the Summer Mini Catalogue. New stamps for Valentine's and Easter, new Hostess sets, crochet lace ribbons, smooch spritz and loads more. I have put a link in the sidebar and if you would like a copy of the catalogue email or call and I will send one out to you. Also this month is December Frenzy, a great sale of a few items in the main Idea Book and Catalogue. Check out all the details here. There are stamp sets and accessories up to 50% off. So for those last minute gift ideas and Christmas craft items, take a look and give me a call. It is a colour challenge at JAI this week, and although they are lovely soft colours, they aren't the normal Christmas colours. But if I am ever to get my cards done in time every challenge I do must be a Christmas one! The idea was to get the look of a Christmas tree with a few decorations on it. I have seen this done with the Lovely as a Tree set turning the large tree stamp sideways. Unfortunately I don't have that set so I improvised with Inspired by Nature used sideways instead. I made some glitter glue using dazzling diamonds and crystal effects for the baubles and added SU's new self adhesive rhinestones in the corners. Purchase a gift-giving bundle and receive one FREE spool of ribbon. Host a $550 workshop and receive a FREE spool of ribbon. For full details and pictures of the bundles head to the Stampin' up! customer homepage. I am putting in an order after my workshop on the 31st October, so just give me a call if you would like to place an order and get some of these beautiful ribbons for free. Colour challenge this week and it is a tricky one at first glance. But the ladies at JAI have shown that they do have a good eye for picking a colour combo, so head over to the blog and have a look. With only a few weeks until Christmas cards have to be posted, I decided it was time to make a start. I had a lovely day of stamping yesterday at a friend's place. Nothing better than sharing time with friends doing something that you all enjoy. While there I made a few copies of this card which I will be sending to some of the members of ESAD who are having a Birthday this month. The great thing about handmade cards is that even though you do the same in each card, something is always a bit unique to each card! Ever have an afternoon free for stamping and no idea what to do? For me the easiest way to combat a lack of inspiration is a challenge! The super talented ladies at Just Add Ink are great for providing ideas and JAI 36 is no exception. I love the simple elegance of this sketch. Although the sketch called for dsp on the left edge I really wanted to use this stamp set and so substituted the large flower for dsp. I hope you’re ready for the ESAD Big Shot Blog Hop! ESAD stands for Extra Special Australasian Demonstrators and it is an online group just for Australian and New Zealand demonstrators for Stampin’ Up! challenges, tutorials, product know how and cyberstamps and we are always there to help and support each other when its needed. So if you are a Stampin’ Up! Demonstrator located in Australia or New Zealand then please feel free to click here to join our wonderful group. Whether you have come here from Shirley McAvoy's blog or starting here it doesn’t matter as the hop is a circle with 23 blogs in total. Remember if you visit each one and leave a comment you will be in the running for some awesome Stampin’ Up blog candy. My first project is a scrapbooking layout. I first cut the chipboard brackets with the Big Shot and die and then the dsp. I then covered the chipboard with the dsp which, of course, is a perfect fit! I sanded the edges to neaten the edges. Next are a few examples of the mini milk carton die cut. Project recipes left to right. 3. Whisper white cardstock, Peach parfait and pear pizzazz ink and Vintage vogue stamp set. These are just the cutest little boxes which were all made in just a few minutes and are ideal as small treat boxes. Lastly is a card using the Scallop circle die. Accessories: Big Shot, Scallop circle die, Vintage wallpaper embossing folder, large oval and scallop oval punch, antique brad. Don’t forget to leave a comment before heading over to Carol-Ann Torrie's blog to continue the hop. Just a couple of lines to let you know that there will be a Blog Hop on Saturday 18th September, launch time 8am. All posts will show projects using the Big Shot and other products from the new Stampin' Up! Idea Book & Catalogue. 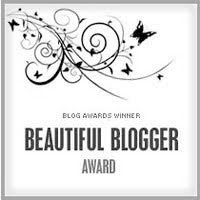 There will be about 25 blogs to visit, with the opportunity to win a prize for those who visit all blogs and leave a comment on each one. So make sure you join me here on Saturday the 18th, with a cuppa and a bit of time to enjoy these great projects from the ladies at ESAD. Hooray!! The new Stampin' Up! Idea Book & Catalogue starts tomorrow!! These two cards are made using new stamp sets and designer paper featured in the new catalogue. If you want to see more there are 2 blog hops planned for this month. The First is tomorrow 1st Sept and features stamp sets and products from the new book. I wont be taking part in this one, but a number of people on my blog list are so you can access it from here. The second one will feature the Big Shot and the new accessories that go with it. It is on the 18th Sept and I will be taking part in that one. There are prizes of new products from the catalogue for one lucky person who comments on every blog. There is a limit of 25 blogs in each hop. Competition is not open to SU demos, so for everyone else grab a cuppa and take a look! That is what Stampin' Up! are calling the retired list this year. This is your Last Chance to purchase many items from the 2009/2010 Idea Book & Catalogue. Each year SU! produces a lovely new catalogue full of new stamps, colours, accessories and some of your favourites from the previous year. But to make room for the new it is out with the old! So check out the Last Chance list here. A number of items are discounted 25 - 50% off so make sure you hunt for the bargains. And dont forget the Colour Renovation means alot of the cardstock and inks are retiring too. I expect the re-inkers to sell out quickly. These items are available until the end of August or while stocks last. To cover this I am placing individual orders as I receive them. Postage will be $5.95 on orders of less than $100 (5% on orders over $100) and will be posted straight to your door. This is to avoid any disappointment in case stocks run out. I will try and keep you updated if stocks sell out or run low. So email or phone me as soon as possible to place an order! It's good to be back in my craft space again, and what better way to get started than with a challenge from the ladies at Just Add Ink. This week's challenge is a sketch which would be perfect for both cards and scrapbooking. I know it is only July but I chose a Christmas theme because I was just looking at the ESAD Christmas in July blog hop. There are heaps of links to that on my blog list so make sure you check it out. This card is a combination of two challenges from the ladies at Just Add Ink. Number 24 was a sketch challenge that I really liked but never got time to do (school holidays are very bad for stamping, lol) and number 25 which is a colour challenge. Hi Everyone, I know it has been forever since I last posted. Please forgive me, I haven,t made any cards lately as I have been working on Matt's Nana and Pop's scrapbook album. They recently celebrated their 60th Wedding Anniversary and I am putting together an album of their family. I will share some photos of that next week hopefully. But the reason for this post is to let you all know about the July special from Stampin' Up. This month SU! is giving a 20% discount on a number of two step stamp sets (including my favourite A Rose is a Rose) from both the main Catalogue and the Winter mini. If you are unfamiliar with this technique let me know and I can give you a quick demo, it really is one of the easiest techniques with give a big wow factor to your stamping. Check out all the details at the Stampin' Up Customer website. Call or email me by the end of July to take advantage of these great specials. Another challenge from the ladies at JAI, this time a sketch. This gave me the chance to use my new Scallop Circle die and show off Haiku dsp which is one packs available as part of the deal of the week special from SU! How cool is this, my first award! I received this from the lovely Tanya Kitto, another Stampin' Up! Demonstrator who has become a good friend through ESAD. 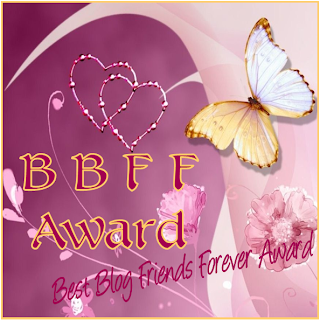 As part of the Award, I have to tell you 10 things about myself and pass it on to 10 other bloggers. So here goes. 10. I am going to the Stampin' Up! Convention next May (fingers crossed). I have discovered recently because of UnConvention. It has been awhile since I have done a JAI challenge, so I thought I would do one before I go away tomorrow. Colour challenges are my favourite sort and this one with its bright colours really appealed to me. Colours: Melon mambo, taken with teal and elegant eggplant. The bookmark was designed by Jenny Adams and is so easy to make and the inside to write your own personal greeting makes it that little more special as a gift. Another project from the UnConvention. The challenge was to use 3 cardstock colours and 2 ribbons in any way we choose. Next year's Stampin' Up! Convention will be held in Melbourne and Matt and I ahve decided we will make a family holiday of it so that I can go, yay!!! Another project from the weekend's UnConvention cyberstamp. The gift bag is made from two sheets of cardstock cut to 21x20cm. The remaining pieces are used for the pocket and gift card, so nothing is gone to waste. As I mentioned earlier in the week, I am playing along with the ESAD UnConvention Cyberstamp. This event started Thursday and finishes this evening. It involves lots of challenges and chatting with other Demonstrators from around Australia who were unable to attend the SU! Convention. This year I set one of the challenges for a scrapbooking layout which I got from the Demo website. This is the layout sketch and below is my interpretation. Accessories: Big Shot circles die, urban garden dsp, spiral punch and circle punches. UnConvention started last night with a great challenge from Tanya Kitto (Superwoman organiser of the event). We could do anything we wanted but had to include a few items. I dont know if you can see the piercing around the corners of the navy cardstock. Stay tuned for more challenges from the UnConvention over the next week. I know it has been a couple of weeks since my last post and I do apologise. James has been in hospital with asthma and a chest infection which meant that I spent my days off work at the hospital instead of my craft desk. He is all better now and I have finally got some stamping done. This card is the original draft I created for a workshop last weekend. It is also the basis for my swaps for UnConvention (more about that later). At the workshop we changed the orientation of the die cut to be in the centre of the card and stamped the base card with the flower stamp from the set. Accessories: Good morning sunshine dsp, Big Shot Top Note die, Heart punch, scallop circle punch, kiwi kiss satin ribbon. Now to UnConvention. Each year Stampin’ Up! has an annual convention for all Aussie and NZ demonstrators. This year it is in Sydney this weekend. For those of us unlucky enough to attend, the wonderful ladies at ESAD have a cyber convention. This time around we are doing a swap as well as challenges and chat. Check in here Sunday afternoon and you will be ablee to see the scrapbook challenge I have set for the UnConvention. Wow!! I am doing well..2 posts in one day! The ladies at JAI have decided on a sketch challenge this week, one that looks simple but has countless possibilities. I have used the new razzleberry colour with the matching dsp from the new mini. And did you spot the old incolour from last year that is returning with tthe colour renovation? This card is for Mother-in-law who has a Birthday coming up soon. So Happy Birthday Anthea. I wanted to show the new colours from the mini catalogue. I have already shown the razzleberry and here now are the other two; soft suede and melon mambo (combined with natural ivory). All three of the new colours will be staying as part of the colour renovation from SU! Razzleberry and melon are part of the brights collection and soft suede will be part of the neutrals collection. Accessories: very vanilla ribbon, eyelet border punch, 1/4" circle punch and crystal effects. Another challenge, this time for my Demonstrator group. There were two parts to this challenge, colour and layout. Although I entered this through my demo group, anyone can enter through Tanya Kitto's blog. Accessories: Big shot, candy lane dsp, white taffeta ribbon and pink pirouette button. A colour challenge this week from the ladies at JAI: Chocolate ship, kiwi kiss and barely banana. The first two colours are old favourites of mine, but the third..let's just say it has taken me a couple of years to use up the three sheets you get in a multi-pack of cardstock! I used items found in the new Autumn mini for this card, including my new Big Shot. I am really loving this machine. It is easier to use than my cuttlebug and sits on my bench much better (stabler if that's a word). I missed the last JAI challenge due to work commitments and with the kids on holidays time just got away from me. So here is this week's JAI challenge, a layout this time around. The square shape is perfect for a 12" x 12" scrapbook layout. And, of course, if I am scrapbooking it will be about the kids. This time it is Isobel's 10th Birthday with her friends at Emu Point beach. I have used a Simply Scrappin' kit, Party Pieces which retired a couple of years ago. I don't often use a kit as I have enough craft stuff to make my own embellishments, but they do make things much easier and quicker. All the hard work is done for you and as the girls at JAI came up with the layout for me..well the whole thing came together in less than an hour! Stampin' Up! has done it again! Another great mini catalogue to get the creative juices flowing! This one is stuffed full of new products and stamps. So what is so special about this catalogue? 5. More than a dozen new stamps and wheels - Most of which are now available as both wood mounted and as repositionable stamps on clear blocks! 6. 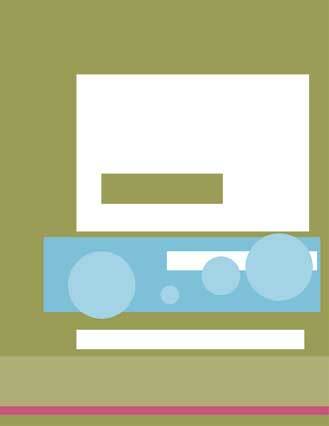 The Big Shot - manual die-cutting and embossing machine, plus dies and embossing folders. 7. New Accessories - rub-ons, ribbon, hardware. So if you would like to have a look at all these great new products have at a look at the catalogue link in the right hand column. Better still, be at my place on Saturday 17th April when I will have a number of these on display including the Big Shot and the new repositionable stamps! When I first saw these colours in the JAI challenge I thought 'what am I going to do with those??!!' Cameo coral and blush are two colours I rarely use and so this challenge was exactly that for me - a challenge! And it has changed my mind about one of the colours at least. Blush blossom would make a great neutral to stamp your image on when making a pink card instead of using white! I find the cameo coral just too bright (even for me) so I have only used a small amount to mat the image and also stamped the image with versamark and used cameo coral pastel to make the image pop. The JAI challenge this week is for a layout, one suitable for either cards or scrapbooking. I have had these photos for awhile so decided this is a good opportunity to get them scrapbooked. The photo is my youngest child, James, when he had some professional photos taken. I know the new SU! Autumn Catalogue doesn't start for another couple of weeks, but I really wanted to show you my new stuff I got in the pre-order. One of the advantages of being a demonstrator is we get first opportunity to try all the new products. So what is new in this catalogue? New stamp sets, of course, but this time with a twist - a new way of mounting the stamps. Instead of permanent mounting on wood blocks, now you can buy the sets unmounted to go on acrylic blocks only while you use them!! The quality of the stamp image is the same because the stamp is still foam and rubber. This means you can use the same inks and techniques you can use on wood stamps! But, and this is the best bit, they are easier to store and cheaper to buy!! As if this isn't enough, there is also a new style of punch, new Hostess sets, the Big Shot machine with die cuts, three new in-colours and a whole bunch of new accessories!! So if you would like a copy of the new Autumn Mini just give me a call or drop me a line and I will post one out to you! It's that time again! Time for another JAI challenge, this time a colour challenge: So Saffron, pink passion, green galore and tempting turquoise. Bit on the bright side, but whe I first saw these together I thought it would be perfect for scrapbooking Isobel's birthday. Unfortunately, when I went looking for the photos from her party they were nowhere to be found. Turns out they are on the memory card that went to Sydney with hubby's broken laptop. Fingers crossed we get them back! So without a scrapbook page to do I had to go to Plan B. The colours are a great match for the Kaliedoscope DSP from the Summer mini (available til March 31). I thought the swirly leaf and stem pattern on the dsp reminded me a bit of seaweed, hence the ocean theme of the card! I did my first workshop yesterday in absolutely ages. The hostess wanted to take advantage of the Sale-a-bration promotion and the Summer mini before both finish at the end of this month. Most of the people there were experienced stampers which certainly helps to make things run smoothly. We did 2 'make and takes'. The first was these cards which use the Happy Moments stamp set from the sale-a-bration catalogue. We practiced our watercolouring using the SU! pastels, I havent had these out in a long time. I think we had all forgotten how easy and effective they for adding a bit of colour! THe second was this little Chocolate Purse. I say chocolate because that is what we put inside! I can take no credit for this design. It all comes from my upline Cathy Clark. I was going to change the colours from the one she gave to me, but decided it was just too pretty to change! All I did was give the fold over front flap an eyelet border edge. I had a great time yesterday and hope everyone else did too. The hostess earned lots of freebies: a sale-a-bration set, a level 1 hostess set and $40 to spend of SU! products! So if you want the chance to learn something new about stamping, get together with your mates and earn some free Stampin' Up! products just drop me a line! Another great challenge from the girls at JAI, this time a layout. See the full challenge here. Please forgive the photography on this one. I normally get Matt to take all the photos, he is so much better at it than me, but this card is for our 10th Wedding Anniversay next month so I had to take the photo myself. Organic Grace is my favourite hostess set from this years catalogue and this one is extra special as it was sent to me by my very first Splitcoast Big Sister CJ. I knew I wanted to add some ribbon (no card of mine is complete without it! ), but wasnt sure where. I didnt want a big bow as the card is for my hubby, so I put it across the corners of the picture! I have been wanting to try one of these boxes for awhile and the JAI Add dimension challenge this week was just the excuse I needed. I have used the Rose is a Rose stamp set again (should have bought this set earlier :) and combined it with the Candy lane DSP. I just got this stammp set, A rose is a Rose, which has been on my wish list since the catalogue came out last April! And it is even better than I thought, with the 2 step stamping the possibilities are endless. It has a full bloom rose, this bud and petals so you can build your own flower to the size you want. The layout for these cards came from Splitcoaststampers layout number SC267 if you want to try it yourself. The card on the left is going to my secret sister who is in Ohio, USA where they have had quite a bit of snow recently. Hopefully this will give her a reminder that spring is on the way for her, if not us! THe other is going to my neighbour who is celebrating a birthday this weekend. Accessories: riding hood red taffeta ribbon, candy lane dsp and dazzling diamonds glitter. Another great challenge from the girls at Just add Ink, this time a colour challenge. I also wanted to show off my new Sale-a-bration stamp set (yes it is that time again) and it is nearly Isobel's birthday so I need to make some invitations for her. Add all those together and I ended up with this gate fold card which has the party details inside. Accesories: Stampin' pastels, gold stickles, scallop circle punch, 13/8' and 11/4' circle punches, ribbon. 1. for every $100 you spend on current SU! products from either the main catalogue or the summer mini, there is no limit on the number of free sets you can earn ie spend $200 get 2 sets, $300 get 3 sets! 3. Join The Stampin' Up Demonstrator team. There are 4 great sets to choose or collect them all!!! Sale-a-bration finishes on the 31st March so make sure you contact me ASAP.